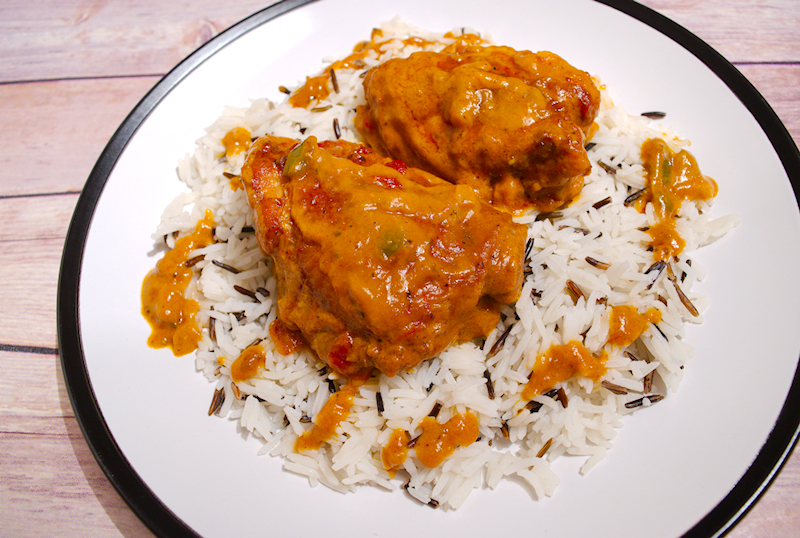 A recipe for Hungarian Chicken Paprikash with a velvet creamy sauce. A masterpiece of central European cuisine! One of the great advantages of my job (despite the fact that it doesn’t pay well) is that I have the chance to visit many places around the globe for conferences, meetings etc. Being a foodie, I always look around and try to find hidden treasures of the local cuisine. In my recent trip to Central Europe I had the chance (and honor!) 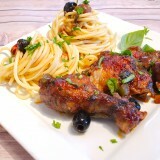 to try the famous Hungarian Chicken Paprikash. 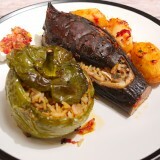 Together with the Goulash stew, one of the most popular dishes in Hungary and surrounding regions. I was really impressed! Chicken Paprikash is very simple as a concept but insanely delicious. 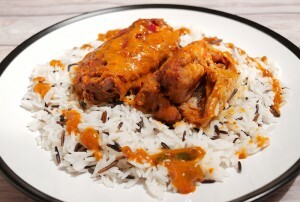 The chicken, usually thighs, is slowly cooked in a tomato and cream sauce with lots of paprika. For those of you who don’t know, paprika is one of the most precious export product of Hungary. 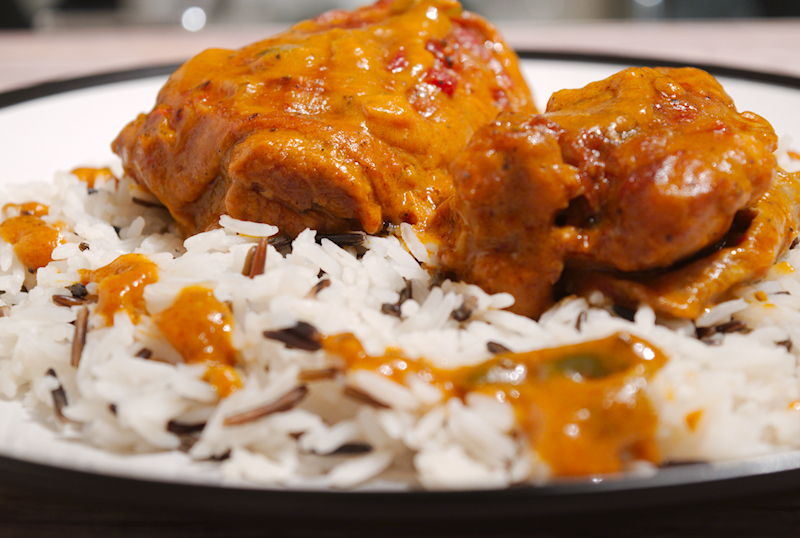 The choice of paprika makes a big difference in Chicken Paprikash. I strongly recommend to use a Hungarian paprika, which has a smooth and sweet flavor. 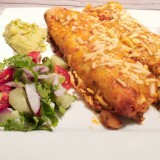 In my version, I added a bit of smoked paprika too, just for the additional kick. Most of the recipes use sour cream but, honestly, I am not a big fan. I find it a bit “fatty” and sweet. 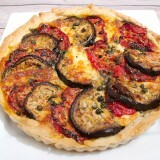 Instead I used Greek yoghurt, a smoother and healthier option. Totally recommended! 6 chicken thighs with the skin on. 3-4 sweet and ripe tomatoes cut in cubes. 2 tablespoons Hungarian sweet paprika. 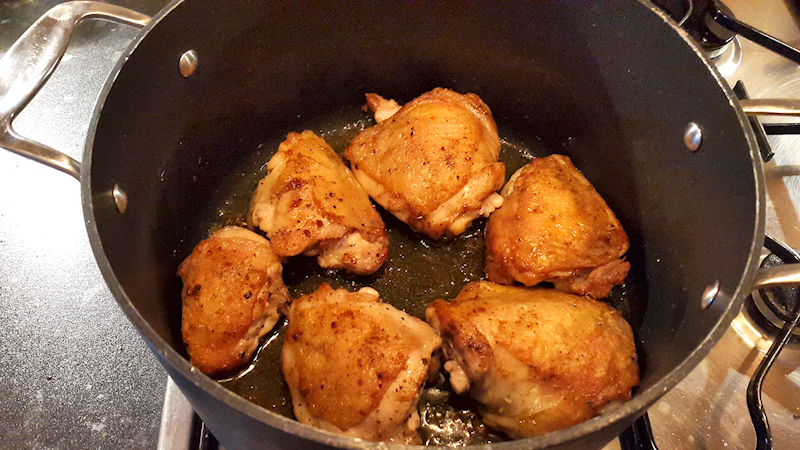 Wash the chicken thighs in cold water and dry them with a kitchen towel. Season with salt and pepper. Add the olive oil in a deep pot on medium heat. Place the chicken thighs in the pot with the skin facing the bottom. Cook for ~ 10 minutes until the thighs are nicely brown in both sides. Remove the chicken pieces from the pot and set aside. In the same pot add the onion and green pepper and cook until the onion starts caramelizing. 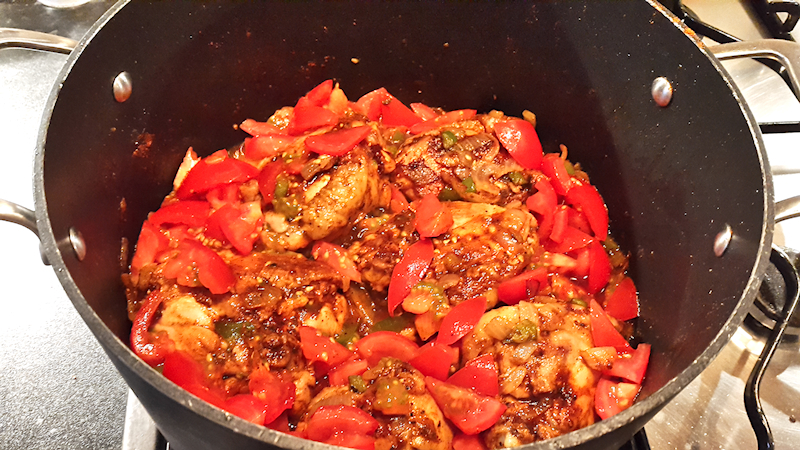 Add the chicken thighs on top and add the sweet and hot paprika. Season with salt and pepper and give it a good stir. Cook for ~ 30 seconds (not more as the paprika will become bitter). Add the fresh tomatoes and tomato paste. Add 1-2 cups of hot water (until it covers the chicken) and bring it to boil. Set the heat to low, cover with a lid and let in cook for ~ 90 minutes until the juices have reduced. Remove the chicken pieces from the pot and set aside. Use a hand mixer and create a thick paste with the remaining sauce in the pot. Add the yogurt and stir well. Bring the chicken back to the pot and cook for another 5 minutes on low heat. Serve the Chicken Paprikash hot with wild rice or pasta.